Joanna Sax is the Associate Dean for Research and Faculty Development and a Professor at California Western School of Law. Additionally, Sax co-directs the CWSL Institute for Health Law Studies. Sax focuses her research on the nexus of law and science, analyzing policies that create barriers to basic science research. For more information on Professor Sax, visit her faculty profile. Launched in 2013 by Mark Edwards, a Professor at William Mitchell College of Law, ChartaCourse offers an engaging alternative to by-the-book teaching in the law classroom. A casebook publisher for the digital age, ChartaCourse offers professors customizable digital concept charts that contain all of the information found in traditional casebooks. These online “casebook” alternatives give students an interactive learning experience at a more affordable price than the average textbook. Each chart is constructed by law professors to ensure that they are fitted with up-to-date cases that are relevant to trends in their respective fields. 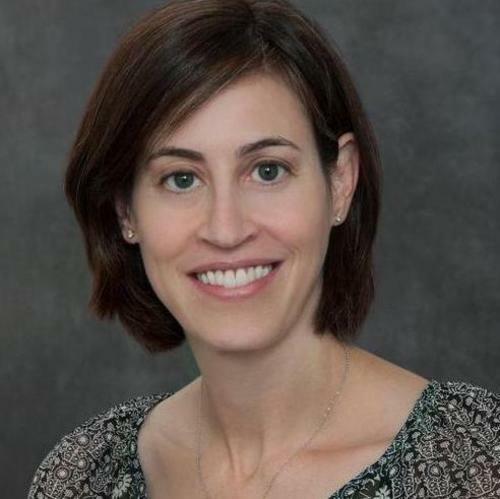 We spoke with Joanna Sax, Associate Dean for Research and Law Professor at California Western School of Law, and author of the ChartaCourse Contracts chart, to talk about her experience with ChartaCourse both in terms of developing and using the digital charts. Can you explain the aim of ChartaCourse? Does it replace the casebook? JS: ChartaCourse replaces the casebook. Each chart contains all of the information found in traditional textbooks, but unlike textbooks they are interactive concept maps with cases and built in teaching exercises. For example, I’m the author of the base Contracts chart, so I edited all of the cases and drafted the supplemental materials that went into it. ChartaCourses are visual, so you can see all of the concepts within a course at once by looking at an overview of its course nodes- almost like a visual table of contents. When you open up each subject node, it shows you all of its subcategories, so it allows you to visually connect the dots. Within each node there are a number of interactive features. For example, ChartaCourse has what we call “Guideposts” - they’re essentially decision trees - and the students can answer Guidepost questions either “yes” or “no” to open up another branch. ChartaCourse also has the technology to include practice problems, such as hypotheticals, multiple choice and true/false questions. When students click on a practice problem after trying it, a summary of the answer is displayed. So it really modernizes casebooks and makes it possible to do things you couldn’t before. As a professor, in my experience, what often happens with casebooks, even the ones you really like, is they tend to not work as well as you get more familiar with teaching the subject. You end up skipping around, saying: “no I want this case to be in this order; no I want to teach this first, I want to teach this differently,” and then you supplement. So now the students have purchased a large casebook and they have to read the supplemental material that you’re giving them. One of the things that I can do with ChartaCourse is personalize it for myself. Any law professor who adopts my base Contracts chart can then personalize it. They can hide and take away cases that they don’t like, they can add in cases that I didn’t include, and if they want to teach the cases in a different order they can just rearrange the nodes for their use. In this way the charts are also less confusing for the students, because they’re more organized. The other benefit I see to teaching with digital charts is that almost all my students take notes on their computer during class. ChartaCourse allows them to highlight the cases within the chart and to keep notes in one place, so they can easily reference their notes while going over sections in class. How did you get involved with ChartaCourse? JS: Mark Edwards came to my institution to speak about ChartaCourse and I was really interested. In addition to it being a completely new teaching tool, what was most important to me is that it only costs $49 a year for the students. Regular law textbooks can cost over $200. So between the engaging format of it and the cost to the students I was like “this is great!” I emailed Mark a couple days later and said that I would love to work on the Contract chart and we were off and running. Can you share some of the details of your ChartaCourse? Is it complete? JS: It is complete, and ready to use! My chart has material for a six-credit Contracts class, but you could easily pare it down. I set it up as logically as I could - having taught Contracts for six years, I moved around some topics to where I thought they made more sense. For example I included modification under mutual assent, because you have to have mutual assent to modify a contract. But there are other areas in which a professor might want to teach modification, so in the teacher’s manual I explain, “this is why I set up this part in this way, although I would understand if you wanted to teach it under another topic.” If that’s the case they can just move it to where they like to teach it. And as the author of the chart, that’s great. If professors want to teach it in a different order they should totally do that. And they get to do that. Does ChartaCourse support video or other kinds of media files? JS: Yes, they do. What I’ve come to find with Contracts is that a lot of things have been copyrighted, so it can be hard to pull in stuff. I’m working on locating available digital media for the base chart. Other types of content can be included as well, such as public records. The other cool thing is that you can really modernize your course work for the students and say, “here’s an issue that happened last week.” Because the chart is online it can be updated at any moment, I don’t have to issue a new edition, I can just update it that day. And if I get feedback from adopters, such as someone saying “your Contracts chart does this, but it might make sense to do that” and I think that’s a good idea then I just change it. Students get these updates right away; any time they open the casebook they’re logging in to the most up-to-date chart. What was the process of developing your chart like? JS: I know much more about Contracts now than I did before, so that was good. Editing the cases is very labor-intensive because you want to edit out the stuff that’s not relevant to that particular topic, but the case still has to make sense. Choosing the cases took a lot of time, and writing the essentials, which is the background material, requires trying to simplify the concepts. Contract law is a difficult topic, and so converting it into more simple terms was challenging. Rewarding, but challenging. What have student reactions been? Are you currently using the book in courses that you’re teaching? JS: During the drafting stage last year, I met with students in my Contracts class and showed them the chart while I was developing it and I said, “Do you think this is a good idea? Do you think you would like this?” And they were like, “This is so cool, I wish we could have this this year.” So students were really interested in it. I started using it this fall and students seem to really like it (and the price). Do you think that this kind of learning approach will be the future of legal education? JS: Yes, I think students like content and they’re used to getting content online. This gives them content in a way that they’re becoming more accustomed to. It responds to the issues in legal education in the sense that it gives alternative ways to teach, particularly with the decision trees and the visual and interactive nature of it. I also think it responds to issues in legal education because of the low cost to students. We want to thank Joanna Sax for taking the time to speak with us! If you’re interested in learning more about ChartaCourse, check out this introductory video. It is becoming more important than ever for early-career lawyers to understand e-discovery technologies and best practices.